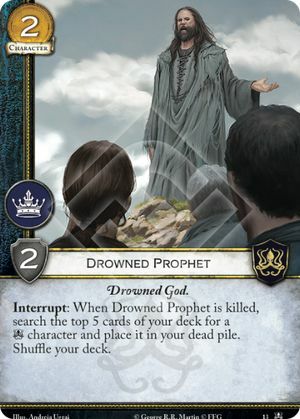 Interrupt: When Drowned Prophet is killed, search the top 5 cards of your deck for a character and place it in your dead pile. Shuffle your deck. Kings of the Isles #13.